1:350 K-141 Kursk (full Russian name Атомная Подводная Лодка «Курск» (АПЛ «Курск»), Atomnaya Podvodnaya Lodka "Kursk" (APL "Kursk"), meaning "Nuclear-powered submarine Kursk") was an Oscar-II class nuclear-powered cruise-missile submarine of the Russian Navy which was lost with all hands when it sank in the Barents Sea on 12 August 2000. 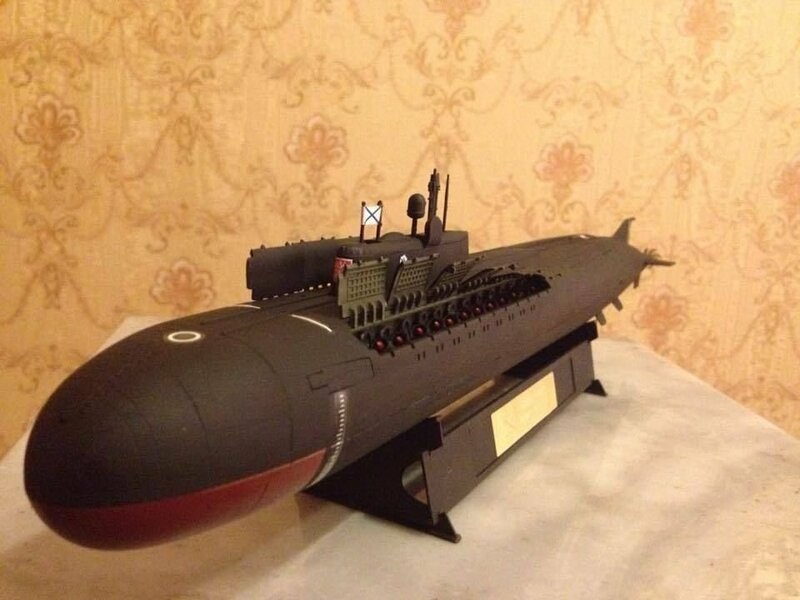 It was a Project 949A Антей (Antey, Antaeus; NATO reporting name "Oscar II") submarine. It was named after the Russian city of Kursk, around which the Battle of Kursk took place in 1943. One of the first vessels completed after the end of the Soviet Union, it was commissioned into the Russian Navy's Northern Fleet.